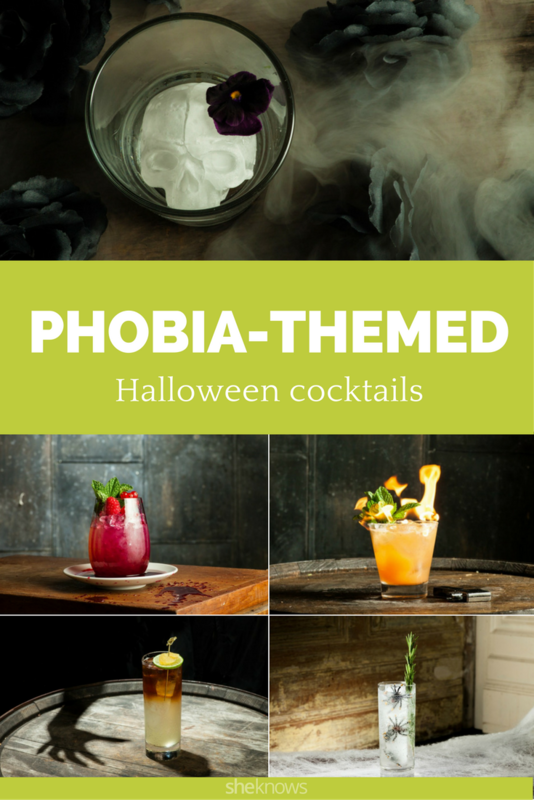 Halloween is finally here, and nothing makes fake blood, gore and scary stories easier to take than a cocktail or two. 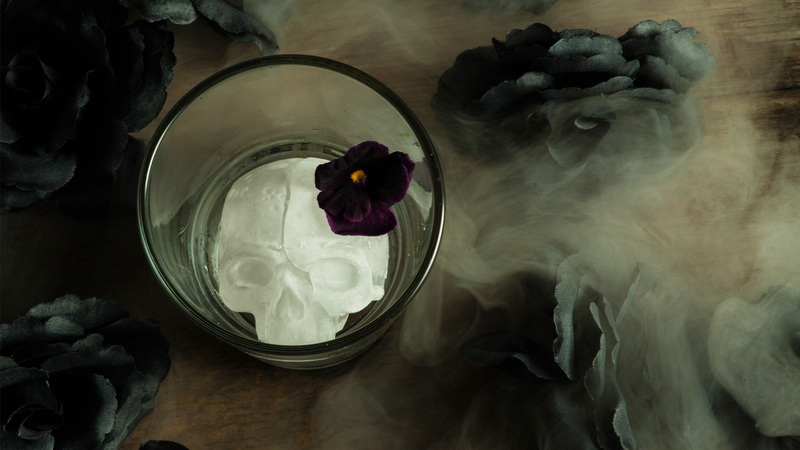 These sophisticated Halloween drinks from mixologist Masa Urushido of Saxon + Parole will make your night a whole lot of fun, whether you’re at a party, handing out candy or waiting to egg obnoxious teenagers hanging out in the cemetery. 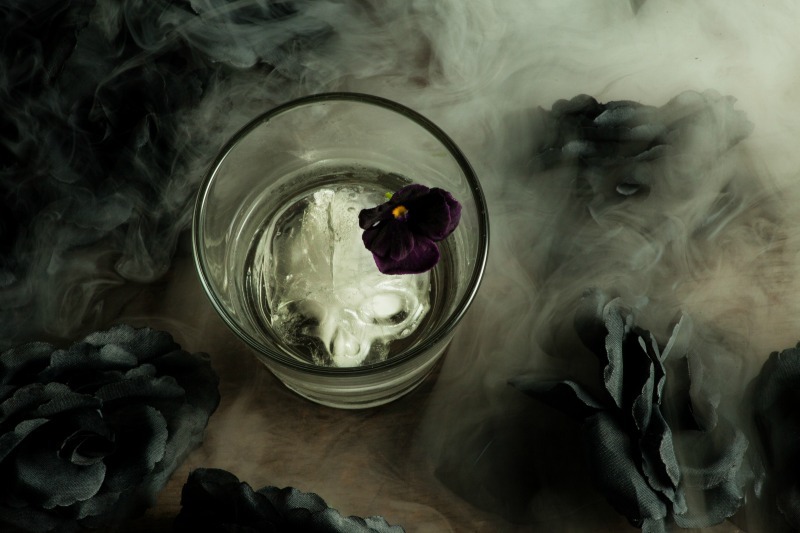 Shake all the ingredients with ice, and strain into a rocks glass. 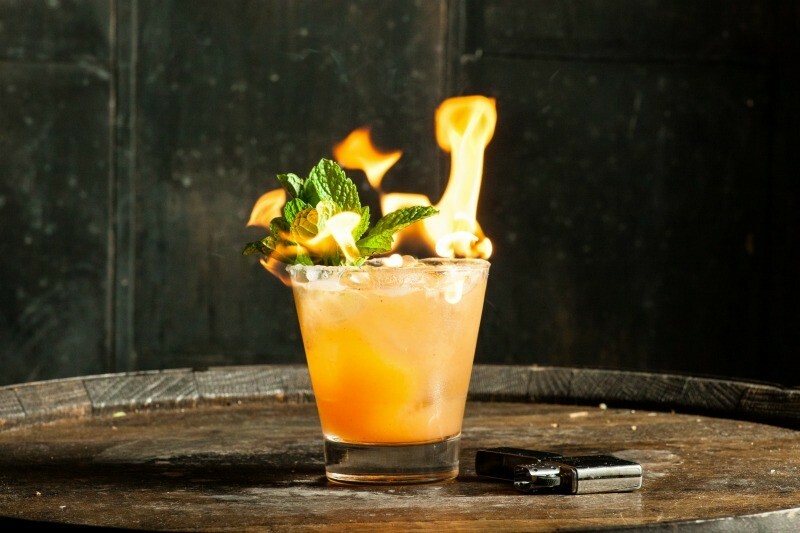 Garnish with mint leaves, and top off the drink by flaming ground cinnamon. Grill 2 – 3 peaches (or any seasonal fruit) until nicely charred. Mix the peaches in a blender with equal parts white sugar, and strain. 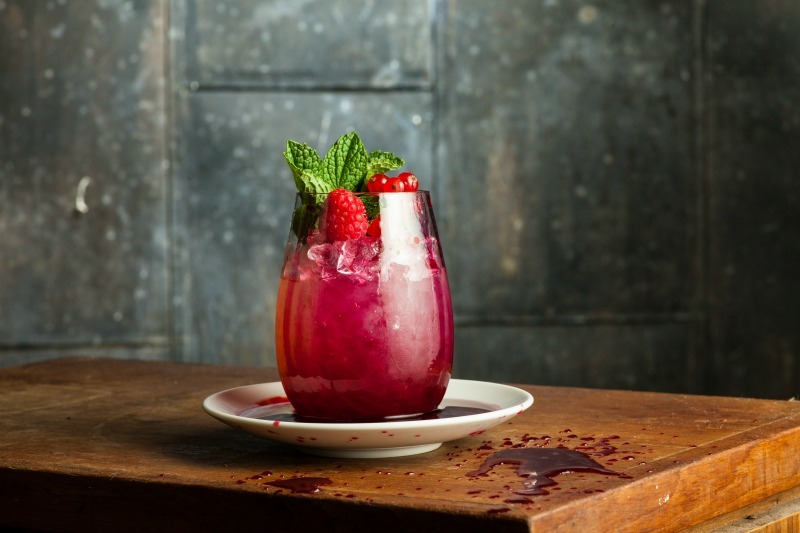 Shake the vodka, lemon juice and crème de cassis with ice, and strain into a stemless wineglass filled with crushed ice. Garnish with gooseberries and mint. Heat 1/2 cup of concentrated beet juice, 1-1/2 cups of pomegranate juice and 2 cups of sugar, and reduce until the mixture becomes a syrup. Stir together the ingredients, and strain over large ice cubes. 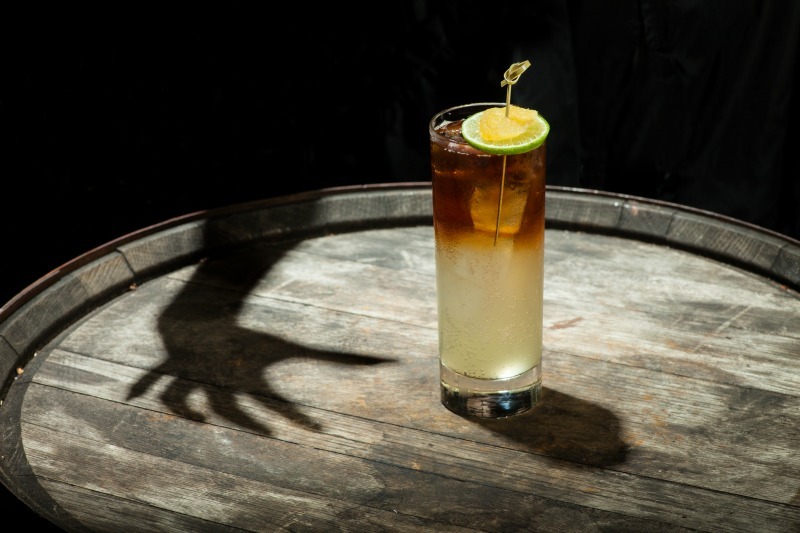 Shake the espresso- or coffee-infused rum and lime juice over ice, and strain into a Collins glass. Garnish with a lime wheel and candied ginger. Mix 1/4 cup of ground espresso or coffee with room-temperature Sugar Island Spiced Rum. Let the mixture soak for 30 minutes. Pour the tequila into a Collins glass over ice. Top with tonic water, and stir. 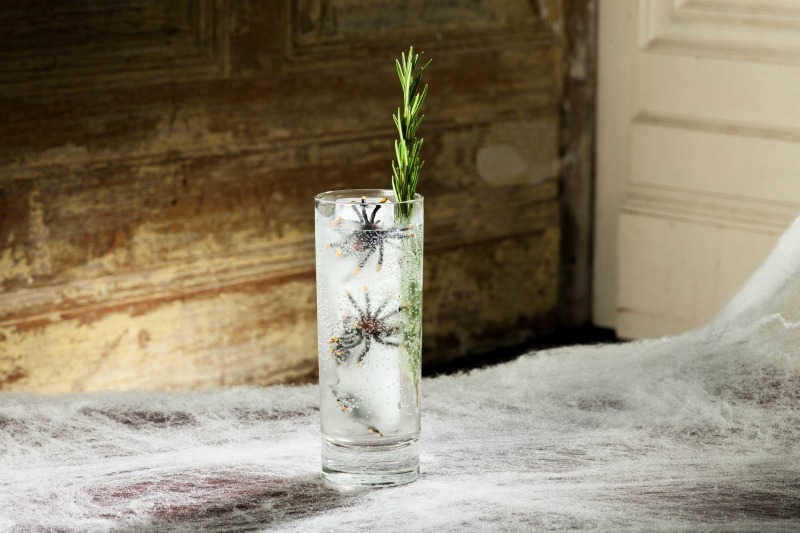 Add dashes of celery bitters, and garnish with fresh rosemary.